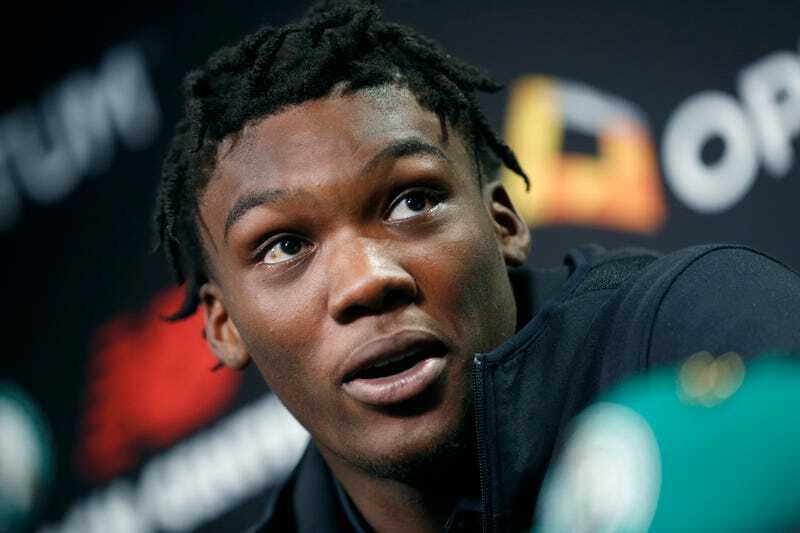 When the Celtics took Robert Williams with the 27th pick in the NBA Draft last month, they knew why he’d slipped that far. It wasn’t just because he can’t space the floor like all those other bigs taken in the first round—there were Character Concerns. Boston took the risk anyway. The Celtics have enough tested bigs on their roster, along with an embarrassment of future assets, so you can see why they’d take a flier on the bouncy 6-foot-10 kid out of Texas A&M. If head coach Brad Stevens can’t wring some value out of him, oh well. They’ll live. Although the Celtics might have a minor issue to resolve here, LeBron James vacated his throne at the top of the Eastern Conference yesterday, so on the whole, they had a pretty wonderful Sunday.